Emirates has revealed its new First Class product will be unveiled at the Dubai Air Show in November. Making its debut on board a Boeing 777-300ER, Emirates’ new First Class cabin will feature six private suites laid out in a 1-1-1 layout, compared to the existing eight private suites in a 1-2-1 layout on its existing 777 fleet. In addition to the entirely redesigned First Class product, Emirates’ new Boeing 777-300ER will also boast a range of other new features in the Business and Economy Class cabins. 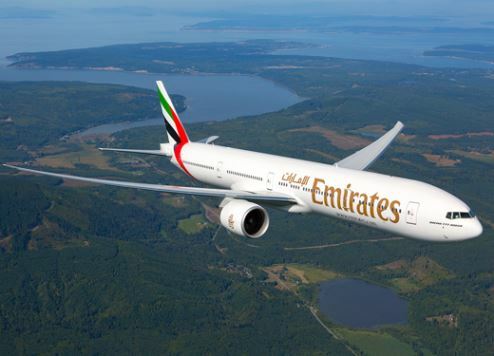 Emirates will announce the destinations where the new Boeing 777-300ER is to be deployed in due course. “Our products and services across cabin classes are continually improved and enhanced, but what our customers will see on Emirates’ new 777s starting from November, will be a much bigger revamp that takes our on-board experience to the next level,” said Emirates President Sir Tim Clark. Emirates is the world’s largest operator of the Boeing 777, flying 162 of these modern, efficient wide-body aircraft to six continents from its hub in Dubai. The airline pioneered the private suite concept on commercial flights in 2003, establishing a new standard for First Class travel. Emirates’ track record of successful innovations that have raised the bar for the industry in terms of in-flight customer experience include: Shower Spas and the Onboard Lounge featured on its A380 aircraft; entertainment on demand in all classes with the award-winning ice system, and in-flight connectivity through in-seat text, email and telephone services, as well as mobile and Wi-Fi services.